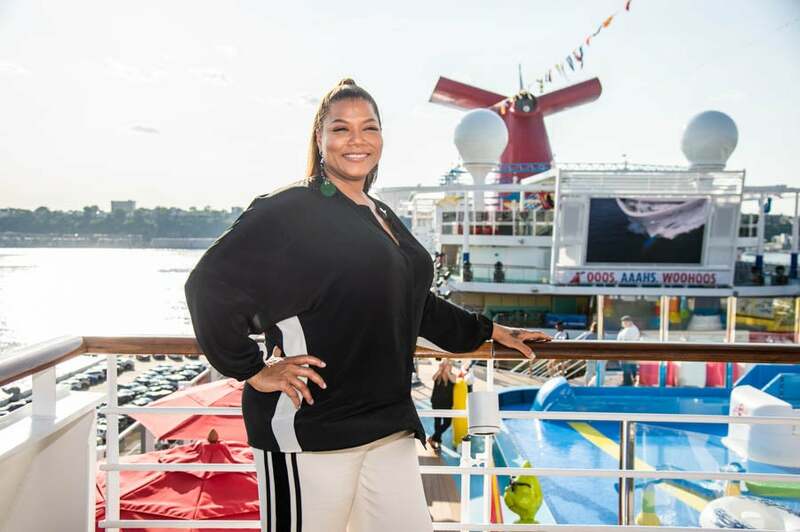 2018 ESSENCE Festiva performer Queen Latifah has been in the entertainment industry for over 30 years and she’s still adding accolades to her already-stacked resume. 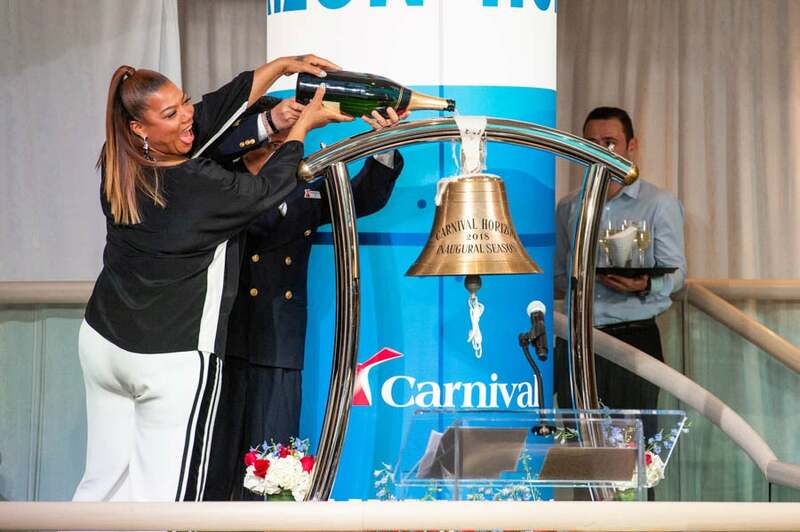 Just over two weeks after receiving an honorary doctorate from Rutgers University in her home state of New Jersey, the rapper, songstress, actress and business mogul has been named “godmother” of the Carnival Cruise Ship’s newest addition, Carnival Horizon. 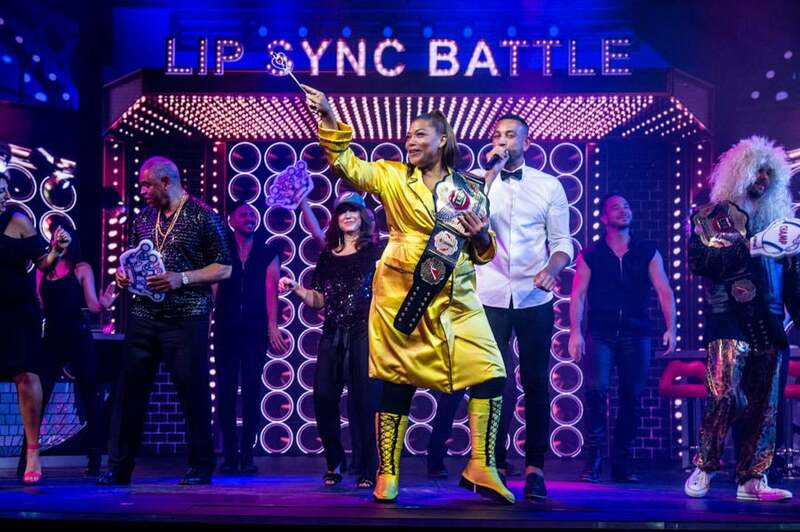 To celebrate Queen Latifah being the newest addition to their family, Carnival Cruise held a naming ceremony that included champagne, an official Lip Sync battle and the awarding of a massive $100,000 donation to St. Jude Children’s Research Hospital. The funds presented to St. Jude’s represent monies raised from various fundraisers, both onboard and ashore, which continue the cruise line’s ongoing support of St. Jude with more than $16 million raised in the fight against childhood cancer since the partnership began in 2010. The Carnival Horizon kicked off a summer schedule just ahead of Memorial Day and will offer several new and exciting activities, including a Cuban-themed bar and pool, an IMAX Theatre, a Dr. Seuss WaterWorks park and a Smokehouse Brewhouse BBQ restaurant by Food Network star Guy Fieri.